Statistics show that the first few hours after a child abduction are critical to the outcome of the case. According to a study by the United States Department of Justice, three quarters of the children who are kidnapped and later found murdered were killed within the first three hours after being taken. That statistic alone should prompt every community to support the AMBER Alert Plan. 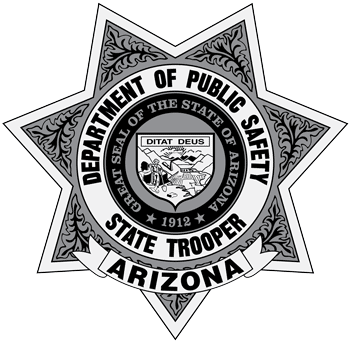 The Arizona AMBER Alert Plan is a voluntary partnership between law enforcement agencies and broadcasters to send out an emergency alert to the public when a child is abducted. Under the Arizona AMBER Alert Plan, area radio and television stations interrupt programming to broadcast information about the case using the Emergency Alert System (EAS), formerly known as the Emergency Broadcast System. The EAS is typically used for alerting the public to severe weather emergencies. It’s important to emphasize that the Arizona AMBER Alert Plan is not used for cases that involve runaways or in most parental abduction cases unless the life of the child is in grave danger. By broadcasting frequent public alerts, descriptions and other vital information in the crucial first hours after a child abduction, we can enlist citizens in an effort to recover the child unharmed. It is hoped that the early warning distributed by the Emergency Alert System (EAS) will coerce an abductor into releasing a child, for fear of being caught. An abduction of a child (under 18) has occurred. The abduction process poses a credible threat of immediate danger of serious bodily injury of death to the child. A law enforcement agency has determined that the child is not a runaway and has not been abducted as a result of a child custody dispute, unless the dispute poses a credible and or specific threat of serious bodily harm or death to the child.